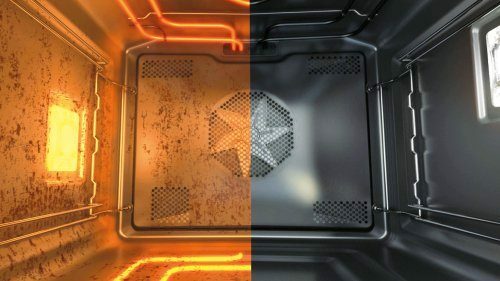 Pyrolytic cleaning is the most efficient and advanced way to clean an oven. 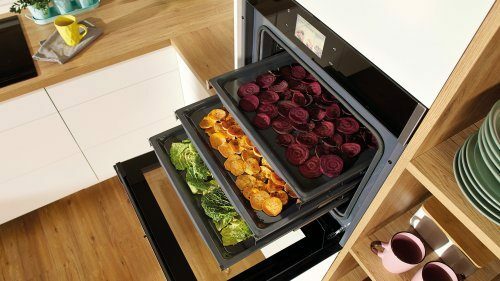 The high cleaning temperature of up to 500˚C leaves the oven completely clean, without a spot of grease. At the end, only the leftovers need to be wiped away and no detergent is needed. Gentle cleaning is over in 90 minutes, medium intensity cleaning ends in 120 minutes, while very intensive cleaning takes only 150 minutes where the effect is according to the duration. The oven is locked during and immediately after the cleaning process, which makes it family-friendly. 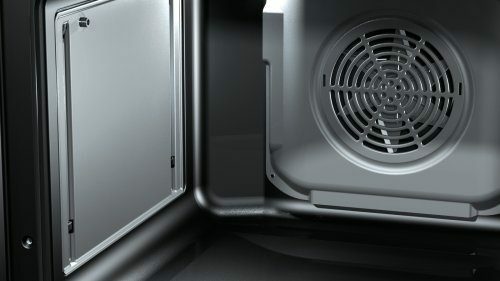 Catalytic cleaning is of great assistance in oven maintenance. 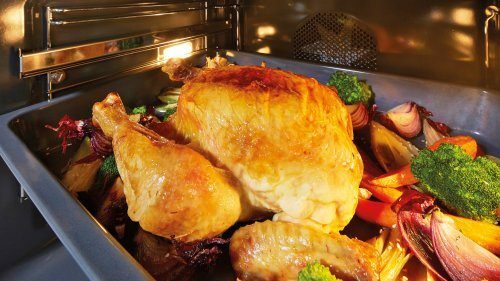 Whenever the oven reaches 200 ˚C, catalytic panels automatically start attracting and oxidising the grease and impurities. The grease is burned, leaving the oven completely clean. AquaClean greatly assists when cleaning an oven. 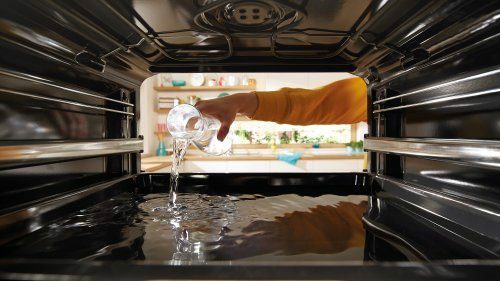 After pouring half a litre of water into a baking tray, it takes just 30 minutes and the results are visible on the entire oven surface and the baking trays. Stains and grease are softened and can be wiped away easily. 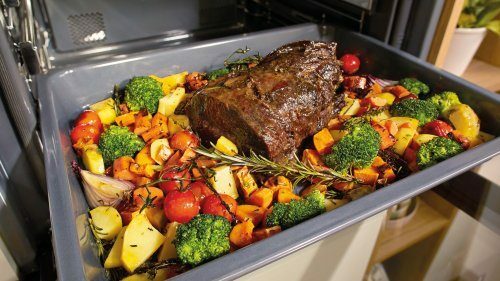 Dried meat, fruit, vegetables and herbs can be easily prepared at home. Dehydration is possible on up to 5 shelves at the same time, which saves time and energy. 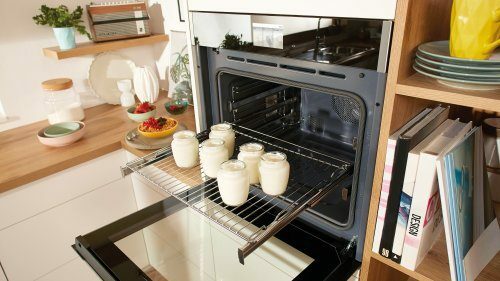 The DynamiCooling+ System effectively cools the oven cabinet down and prevents damage caused by high temperatures. 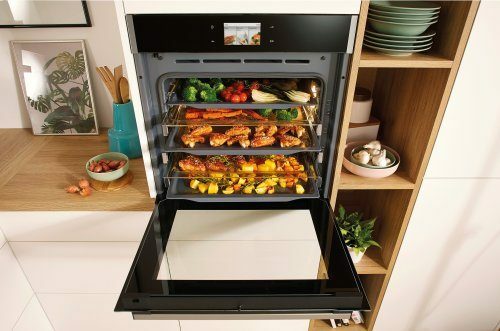 After the cooking ends, heat sensors cool the outer sides of the oven down, until the temperature drops to 60˚C. 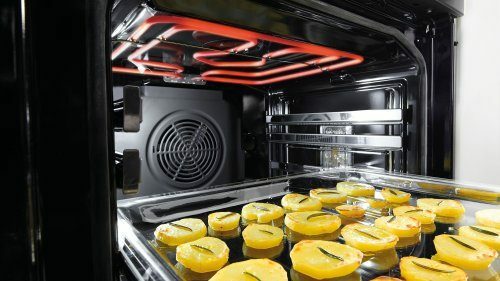 This is particularly useful for those ovens with pyrolytic cleaning, which operates at extremely high temperatures. 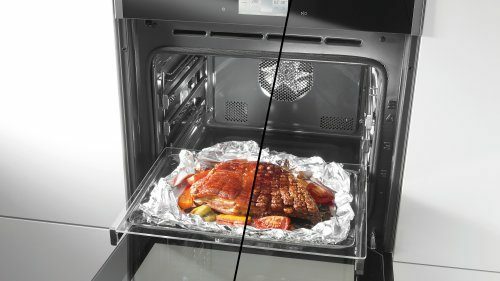 The DynamiCooling system operates when the oven is on, while the DynamiCooling+ System activates after the oven is switched off. 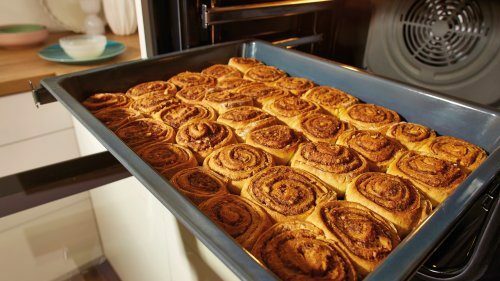 The best baking results are achieved with a combination of larger and smaller heaters, where the latter is positioned inside the larger one. 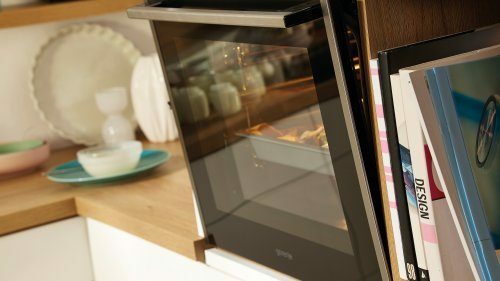 The smart positioning of the heaters allows optimal heat distribution and provides the ultimate baking results every time, so food is crispy on the outside and soft on the inside. A variable heater combination can use either the inner or outer heater, or both at once. 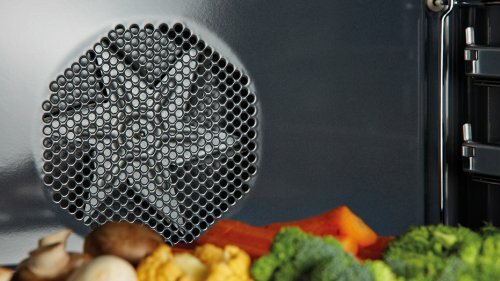 Advanced models feature a heater that can be removed simply, allowing easy maintenance and cleaning. 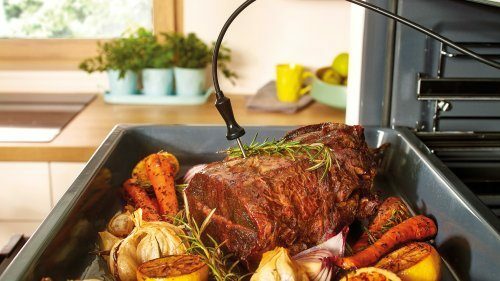 The cooking process is controlled by measuring the temperature inside the meat. A special alarm signals when the cooking is complete. The feature is especially is useful when preparing larger pieces of meat. 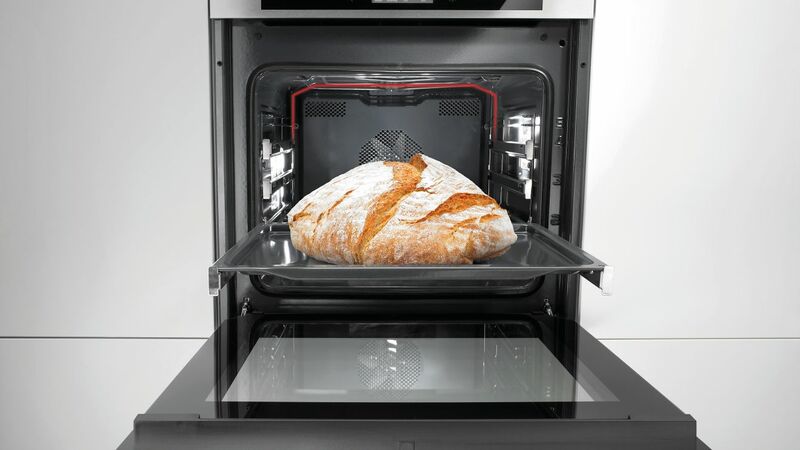 SlowBake controls longer baking times at lower temperatures for up to 6 hours. Meat and fish are softened but retain their juiciness, aroma and nutrients. 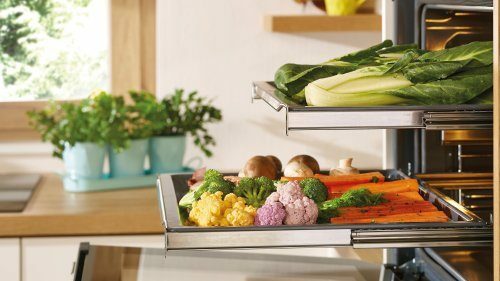 Smoothly running telescopic guides provide safer and easier food handling. 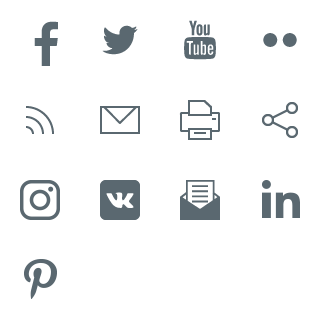 The overview of the baking process is optimised and cleaning is simplified. 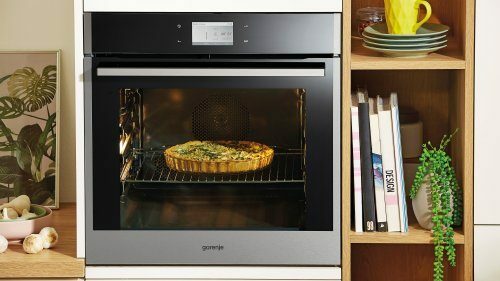 The superior line of this Gorenje feature guides on three levels that pull out fully. 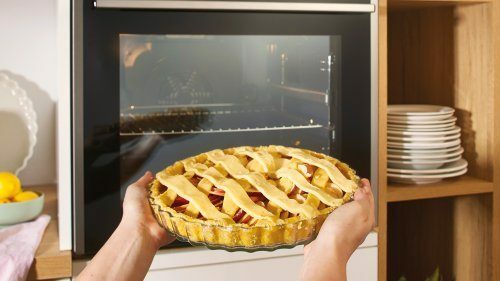 During pyrolytic cleaning, they should be removed from the oven.